People react differently to negative experiences in their lives. Some people tend to be easily disappointed, indulging in pessimistic attitudes that get them close to giving up positive expectations and sometimes hope. From this perspective, it is difficult for them to conceive that matters could take a turn for the better. If this trend continues and forms a pattern, it opens the door to a state of self-negation that makes it even more difficult to attract their innermost desire. What they focus on grows, so if they repeatedly focus on the negative aspects of a situation, it will be more difficult for them to attract positive aspects, or the better turn that they truly want. The key is to develop a generally positive and optimistic attitude without too much attachment to the results that they in principle expect to achieve. Serenity is a key ingredient to accept life with all its ups and downs. Nobody has a life that is 100% wonderful all the time. People experience losses, defeats or disappointments. But how you react to them is your choice. You can choose to be only enmeshed in the wrongness and repeatedly complain about it. Chances are the situation will get worse and be more insufferable this way, getting you closer to losing positive expectations and hope. Or you can choose to adopt an attitude of serenity first, and expand from there your openness to new good things that make come your way. Life offers beauty and joys for all. But if you close your door to them, how do you expect them to come in? Granted, it might seem difficult to adopt positive attitudes when you are experiencing pessimism or are in the midst of a discouraging situation. In this case, sound healing might help you. Sound healing, when used scientifically, is a powerful tool to transform negative emotions and feelings into more positive ones. 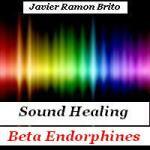 In this case, the healing sound frequency of 111 Hz, which is associated with cell rejuvenation and the release of beta endorphines, can help you to transform a pessimistic state into one where you feel more optimistic and feel better. Listening with headphones to this frequency for some minutes, stimulates your Pineal gland to naturally produce and release beta endorphines that reduce emotional pain, make you feel better, more optimistic and more positive. Did you know that the thoughts and feelings about accepting life and living it fully are intricately bound up with lung function? As Louise Hay says, problems with lungs generally mean that people are afraid of accepting life or think that they do not have the right to live fully. Truly, you have this right by birth. Be also aware that there are many ways to deny or “unaccept” life. In his practice, Dr. John Diamond discovered that the Lung meridian is de-energized by negative emotions like intolerance, prejudice, false pride, scorn, haughtiness, disdain or contempt. He calls the Lung meridian “the meridian of humility”; since he found out that the emotions of humility, modesty and tolerance energize the Lung meridian. Therefore, an attitude of neither undervaluing ourselves nor overvaluing ourselves and of not judging others by our own standards is always in order. So the next time that you notice a change in your breathing pattern, whether it is just a shallow breathing, or a respiratory uneasiness or problem, or a different sensation in your lung area, ask yourself if your are inadvertently indulging in any of those negative emotions that curtail your hopes, de-energize your lungs and cloud or obfuscate your perception of life. The mere realization of what is de-energizing you is a powerful step in the right direction. Your intention to stop indulging in negative emotions that diminish your hopes and optimism is the second one. You may subsequently add repeated positive affirmations to anchor you in the right attitude. You may meditate on life and its broad, profound and ever expanding dimensions. Or choose to indulge in healthy activities that bring you solace and happiness. From this perspective it will be easier for you to realize your natural path, to make decisions or to take constructive actions. And for those with prolonged states of discouragement, dissatisfaction, or even lack of hope, do not forget the assistance that the Bach Flower remedies can give you at vibrational level to cope with your emotional needs, balance negative feelings and feel better about yourself. Gorse is the flower essence that helps your transition from giving up states to going forth states; from lack of hope to hopefulness. It also helps you vibrationally to view life from a new constructive viewpoint. Gentian is the flower essence that helps your transition from doubt, discouragement or despondency to more trust and confidence. It also helps you vibrationally to adopt a broad and positive perspective and to glimpse the sense of your development process. Sweet Chestnut is the flower essence that helps those in extreme despair. It enables them vibrationally to release resistance and find a way out of a seemingly hopeless situation. To sum up, being stuck firmly on the negative side of an unwanted situation is not the right answer. Complaining repeatedly and keeping a pessimistic attitude will not lead you to a good port. Indulging in prolonged intolerance, disdain or scorn will not only keep you in the dark room and impact the vitality of your lungs; it will also prevent you from perceiving those positive opportunities available for your development. What you need is to cultivate serenity, go back to your natural intent to live life fully, remain open to positive developments and focus as much as you can on the good things that you have around you, no matter how small or big they are. Cherish them. Express appreciation and sincere gratitude for them. Choose to fan the flame of life and welcome the future with a positive attitude.